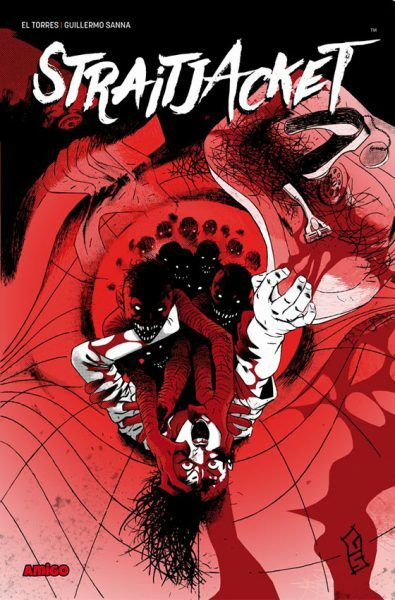 Straightjacket is the sequel-of-sorts to El Torres’ The Veil, a 2009 miniseries originally published by IDW and illustrated by Gabriel Hernandez, of which I have fond memories. 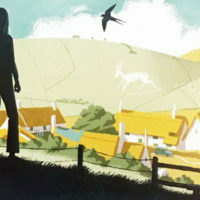 This new miniseries is only tenuously connected to the aforementioned; in fact, I didn’t realise they were set within the same universe until I was halfway through reading it. Illustrated by Guillermo Sanna, Straightjacket follows the efforts of a psychiatrist assigned to help Alexandra Wagner, a seemingly delusional young woman who murdered her brother during childhood and claims to see possessive entities known as feeders. El Torres is a dab hand at the horror genre, and Sanna’s largely black and white art makes effectively sparing use of red. The whole book oozes atmosphere, the two central characters are appealing, and I might be getting old but for once I didn’t see the book’s neat little twist coming. 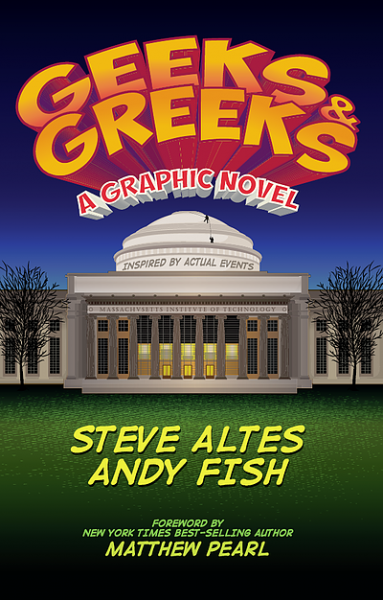 Steve Altes’ Geeks & Greeks is a semi-autobiographical ­depiction of MIT’s tradition of “hacking”, in which the USA’s smartest students fight to devise and enact the most elaborate pranks. I found novelist Matthew Peal’s extensive foreword on the history of this quirky tradition fascinating, and Altes’ characters, given form by artist Andy Fish, are an eclectic and equally interesting bunch. At times, however, Geeks & Greeks feels a though it was written for a specific audience, and I struggled to care about the principal characters the moment they resorted to implementing animal cruelty into their hacks. That said, it’s a compelling window into a world few of us will ever experience – though chances are if you’re a highly qualified MIT graduate you won’t be reading this semi-literate git’s blog posts. 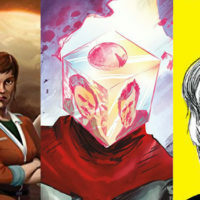 I recently looked at a bunch of titles from 451, a new publisher with its sights set on building multimedia brands. Michael Bay is a co-founder, so some of the series were expectedly gung-ho, and arguably lacking the indie credentials to feature in this here Indie Penance… but nevertheless there’s a few sweet surprises to be had. Ex Mortis, from the brothers Pete and Paul Williams, is an energetic and old-fashioned war story, one that’s best described as the Dirty Dozen filled with a cast of Universal-esque monsters. 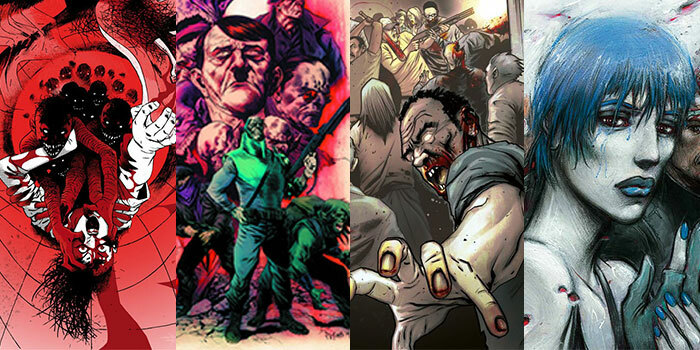 Raymund Bermudez’ art has a scrappy, dirty quality to it, taking the gritty appeal of the traditional war comics and throwing it through the horror blender. 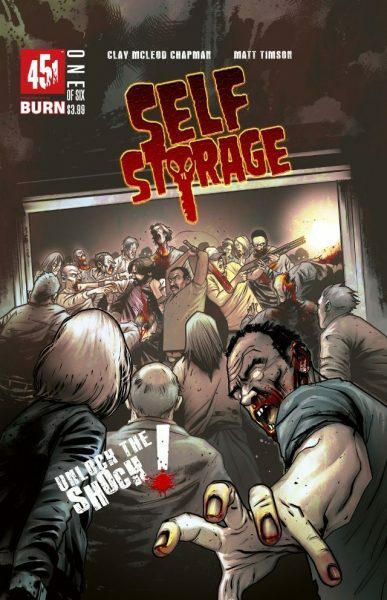 Clay Mcleod Chapman and Matt Timson’s Self Storage is a fun zombie series that, like the most effective horror movies, invests some time (the entire first issue, in fact) to fleshing out its morally-questionable-but kinda-likeable characters. By the cliffhanger conclusion, I was eager to find out what the future has in store for the hapless Chris. By far the best of 451’s primary releases is Sunflower. Written by Black Mass co-writer Mark Mallouk, it’s a far slower and more character-centric affair. 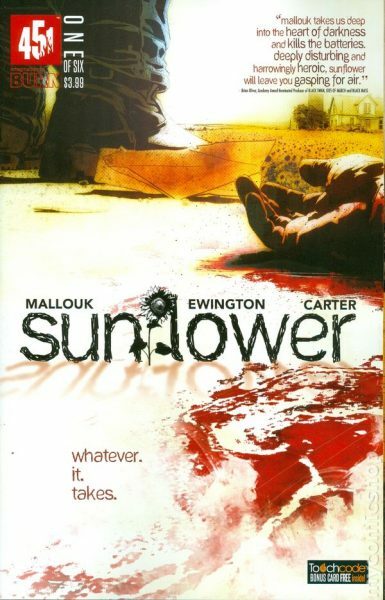 The series follows a widow whose old wounds are reopened when, years after her husband and daughter were murdered, she receives a postcard with only the word “sunflower” on it. 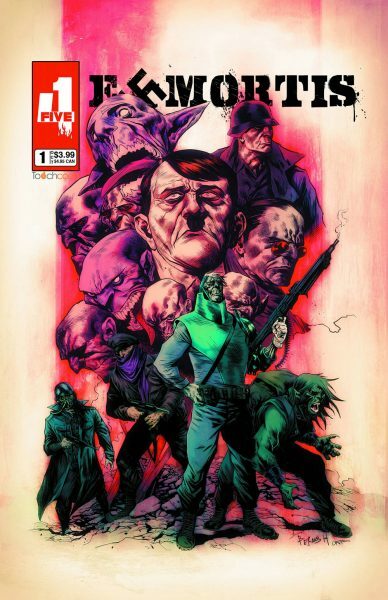 I’ve no idea where this series is heading, but the vague yet ominous plot and Lee Carter and Eugenio Perez Jr’s arid wasteland make for a gripping and atmospheric read. 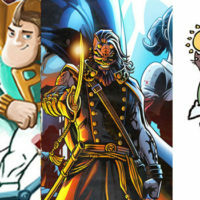 Check out these titles, as well as some really interesting upcoming series, at the rather slick www.4five1entertainment.com. Yes, I devoted the last edition of Indie Penance to Titan Comics, but it would be a crime to ignore this reprinting of Enki Bilal’s awesome science fiction oddity, available in English for the first time in over twenty years. 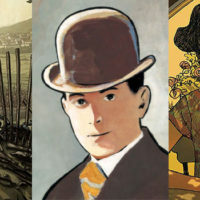 Fans of Moebius will love Bilal’s work, and his idiosyncratic vision of a future painted in medieval politics and unfeasible fashions, which was actually adapted into the equally weird 2004 film Immortel by Bilal himself. In this steadily impending future, 2023 to be precise, the cryogenically preserved Alcide Nikopol returns to Earth to find a world ravaged by two world wars and Paris under the watchful eye of a floating pyramid. 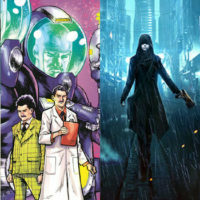 The Egyptian Gods have returned, see, though their lackadaisical ways are about to be punctuated by the petulant Horus, who has plans to manipulate the freshly thawed Nikopol to take over the Parisian government. 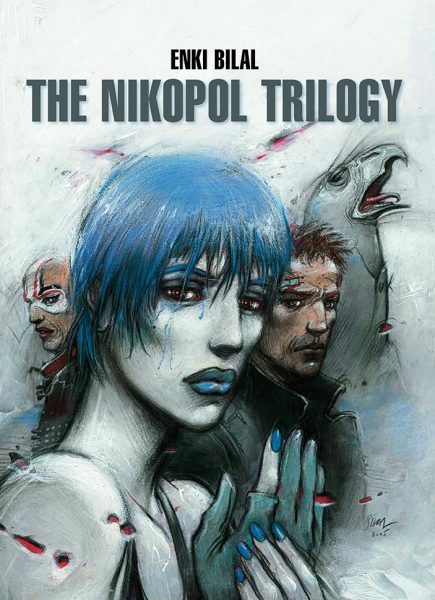 Yes, the Nikopol Trilogy is that bizarre. 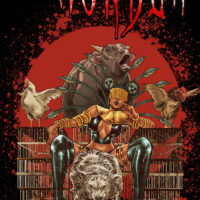 Had the book finished with just Bilal’s first story, ‘A Bedlam of Immortals’, I’d have thought it one of the most brilliantly mad sci-fi comics I’d read in years. But there’s no denying that the two follow-ups, ‘The Woman Trap’ and ‘Cold Equator’, lack the first instalment’s inventiveness. Regardless, the entire book is held up by Binal’s unique visuals, from the oppressive architecture to his hideous and ever-changing trends, that it’s still an engrossing read throughout.